Alani Skye | Fe Fe Entertainment, L.L.C. Join the Alani Skye movement! EVERYONE HAS A STORY, WHAT’S YOUR? The debut EP ‘Don’t Forget About Me‘ is now officially released to the world. After all of the long nights in the studio… After all of the hours preparing for the next stage in this journey… FE FE Entertainment LLC. and Palm Tree Records presents the debut project of R&B star on the rise, ALANI SKYE. ‘Don’t Forget About Me’ captures just snap shot of the life of this young singer/songwriter. Special thanks to all those involved: Alani Skye, Sepp Herbert, James Austin, Oce B. III, Ronald Frost, Chubb Hazel, Shantel Reed, Ra’Yelle Church, Chris Eves, Tonyas Brush, Christopher Cardwell,Tony Mig Brown, The New You Boutique and everyone behind the scene that helped make this debut possible. Growing up, Alani was constantly surrounded by music. She always looked forward to being backstage and watching her mother perform with her band. As she got older, her mother began to bring her on stage. Alani embraced the comfort of the stage and now it is her turn to be in the spotlight. As early as age 7, Alani Skye began to write songs and would entertain her family with her talents. Like most young aspiring singers, she joined the children’s choir at church. The desires to be an artist led her to record her first song by 13. Soon after that, she and a few friends formed an all-girl group called “Set It Off”. During high school, she moved to Florida and continued worked to expand her career. Alani knew that it was important to write and record as she tried to figure out who she would be as a solo artist. Unfortunately upon return to Syracuse, things took a turn for the worst. Surrounded by death and violence, Alani found herself caught up within her environment. And although her trouble and pain led her to dark place in life, she found her solace in music and never stop believing in her calling. Growing up, like most young singers, Alani Skye was influenced by some of the greats such as: Lauryn Hill, Mariah Carey, and the late Aaliyah, but the one she admired the most was Mary J Blige. 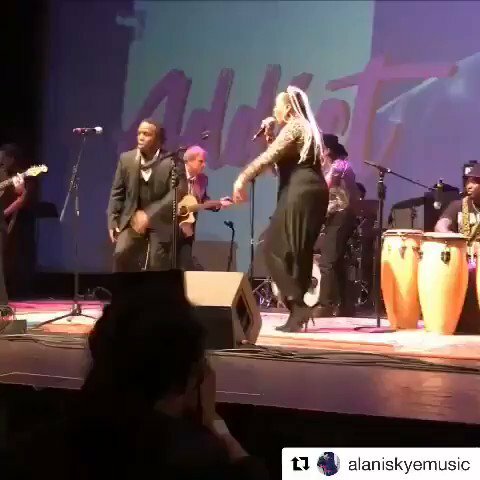 Alani could identify with the message within the queen of Hip Hop Soul and her music and the personal transformation throughout the years. Alani Skye is primed to bring her talents to an audience that is hungry for the return of great music. With the renewed success of Ms. Jennifer Hudson and the talented Tamar Braxton, Alani Skye will be a shining star of today’s new generation of music. Remember, believing in yourself is all it takes….. There is no need to remind ALANI…. SKY IS THE LIMIT…. Our Twitter feed is currently unavailable but you can visit our official twitter page @FEFEENT .